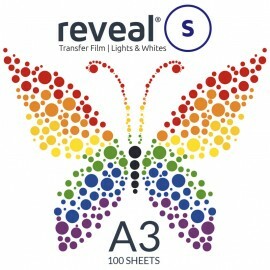 Reveal-S Transfer film is a specially formulated transfer film that enables you to sublimate onto white or light-coloured cotton fabrics. With only one stage in the pressing process, Reveal-S is quick, simple and effective; producing fantastic results at a great price per print. 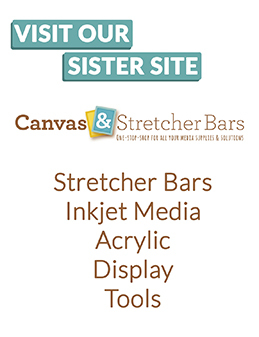 Use in conjunction with Reveal Ink and the Reveal PrintPerfect 600S for the best results. Also recommended for use with a good-quality, reliable heat press.